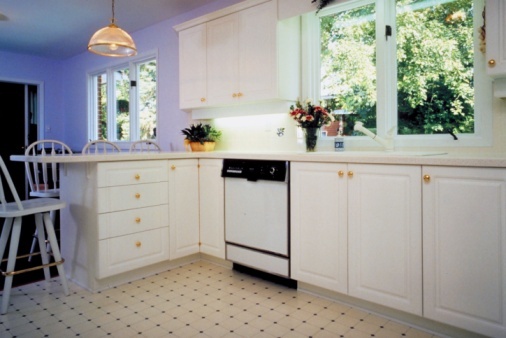 Water heaters are common features in many homes and businesses to provide hot water to appliances and faucets. 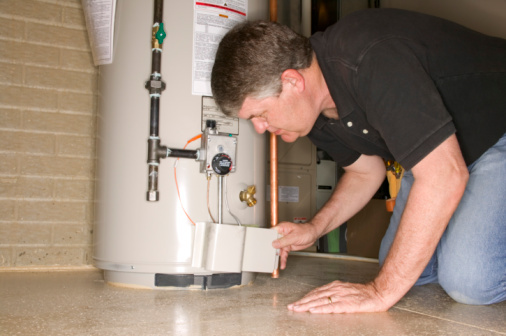 Available in tank and tankless formats, water heaters generally run well with standard care and maintenance. 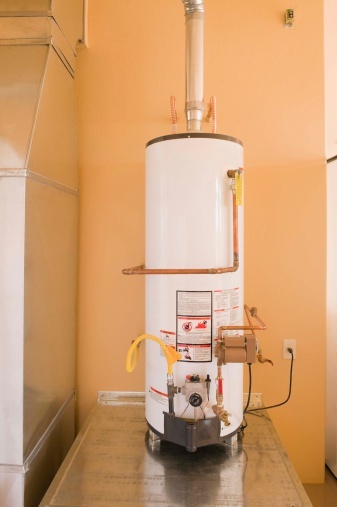 Part of this basic care is cleaning the water heater on a regular basis to prevent the buildup of bacteria, minerals and/or mold within the water heater. Using vinegar is an effective choice for cleaning water heaters, as vinegar will not affect the chemical composition of the water and does not present a health hazard if any vinegar remains in the tank following the cleaning process. Turn off the water heater and disconnect from the power supply. Close the water valves for both the hot and cold water to the water heater. Close the hot water purge port, turning it until it is perpendicular to the port valve. Remove the purge port valve cap. Open the drain caps on both purge port valves, checking to make sure the rubber washer sealing remains in the cap. Rotate the T-handles on the port outlet pipes until parallel to the purge port body. Drain the water completely from the water tank. Close the drain valves. Attach a hose from the hot outlet port of the water heater to a large bucket, and attach a hose from the inlet of the pump to another bucket. Attach one last hose from the pump to the cold water inlet service port. Pour 2 gallons of white vinegar into the bucket that is attached to the pump. Open the service port valves and turn on the pump. This will send the vinegar into the water heater through the cold water service port and then back out the hot water outlet port, draining into the second bucket. Repeat as necessary until the vinegar runs clean into the second bucket. When the vinegar runs clean, empty out the buckets and rinse the first bucket with water until no vinegar odor is detected. Fill the bucket with 2 gallons of clean water and repeat Step 4 to flush the vinegar from the system..
Repeat until five buckets of clean water have been run through the water heater. Remove the hoses, close the outlet ports and turn on the water valves. Restore power to the water heater.